On Wednesday, September 13, the West Department of Environmental Protection filed a motion in federal court to invalidate their Section 401 Water Quality Certification for the Mountain Valley Pipeline. The 401 certification is an important permit that certifies a project will meet West Virginia’s water quality standards. 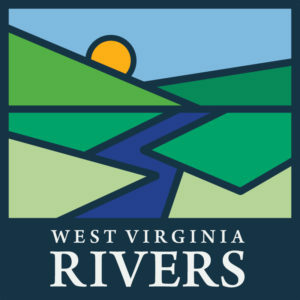 During the 401 certification’s public comment period, WV Rivers found the application incomplete and thus unable to certify the state’s water quality standards would be met. In our comments we asked WVDEP to reject the application as submitted. We are glad to see that, finally, they agreed to give our concerns in-depth consideration. The motion by WVDEP comes after months of pressure from WV Rivers and other advocates to challenge the MVP’s 401 certification and reevaluate the pipeline’s impact on water resources. Check out this article in the Charleston Gazette-Mail to learn more. The MVP 401 certification was originally granted by WVDEP in March of this year. In April, WV Rivers and partners requested an appeal hearing on WVDEP’s decision, which was rejected by the WVDEP Cabinet Secretary. 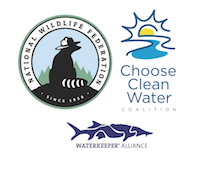 Then Appalachian Mountain Advocates, on behalf of WV Rivers, Sierra Club, Indian Creek Watershed Association, Appalachian Voices, and Chesapeake Climate Action Network, filed a legal petition in federal court to appeal the approval of the incomplete 401 application. The motion by WVDEP came just one day before WVDEP would have been required to respond to our petition and defend the 401 certification in federal court. Our watchdogging also led to WVDEP suspending another MVP permit involving controlling erosion and sediment run-off into streams. WVDEP has agreed to reconsider our and others’ comments for that required stormwater construction permit. WV Rivers advocacy depends on you. While we were successful on this issue, there is still a long way to go to make sure MVP and other pipelines do not damage our streams. Please consider making a financial contribution to WV Rivers, we can’t fight these complex and difficult legal battles without your support!